The racket of choice for any intermediate / advanced player looking for a combination of feel and control while delivering maximum power. Dunlop Aerogel Rackets incorporates the world's lightest solid which has a strength of up to 4,000 times its own weight. The three-dimensional nanometer-sized molecular network delivers an unmatched strength to weight ratio for enhanced stiffness and increased power. The Dunlop Aerogel 4D Elite Squash Racket is the very latest offering from the World leader in squash. The Elite frame is currently used by top World player Gregory Gaultier. 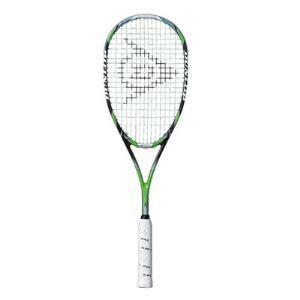 With a mid-sized head with a head light balance and 135g racket weight, this tour style frame offers the player unrivalled power and feel from their squash racket.